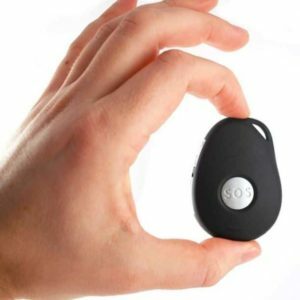 SureSafe offers a range of personal alarm devices with built-in automatic fall detection, so you’re better protected wherever you go. The reality is that when you fall or suddenly feel unwell, you are not always able to push the button on your pendant to call for help. It’s also common for people to lose consciousness when they fall or lose mobility (e.g. when having a stroke), so having an automatic alert system is an incredibly valuable feature. When our fall detectors detect a fall, it will automatically call for help and alert your emergency contacts. This extra safety and peace of mind is priceless – giving you the confidence and freedom to live normally or do your work wherever you go. Our fall detector alarm pendants can be used with both monitored and non-monitored solutions, providing better protection no matter what personal alarm system you use. Browse our collection of personal alarms with fall detection or call 1300 739 991 to find out more. Anyone at risk of falling or fainting can benefit from having a personal alarm with automatic fall detection. Confidence – Enjoy the peace of mind knowing that you can get the help you need even if your fall has rendered you unconscious. This extra layer of security means you can live more confidence and worry less. Timely response – Immediate assistance is critical in emergencies, so an automatic alert system is priceless in these situations. With automatic fall detection, you can send out alerts as soon as possible so you can get help when you need it. Convenience – Automatic fall detection makes it easier to get the help you need after a fall. 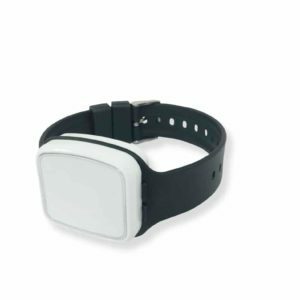 Even if you’re conscious and aware enough to send an alert manually, a fall detector alarm will send it for you, so you can focus on your condition until help arrives. SureSafe’s personal alarms with automatic fall detection offer the level of monitoring and protection you need to stay safer and live life more confidently. With automatic fall detection, you can rest assured that you can send alerts and get the assistance you need after experiencing a fall, whether you do it manually or not. It’s the safer and more practical way of protecting yourself or your loved one in almost any scenario. Here at SureSafe, owning an automatic fall detector alarm isn’t just a matter of convenience – it’s the standard of safety we know you deserve! Need more information? Contact us today to find out more.